Triple S grows a variety of pumpkins perfect for your fall decorating. 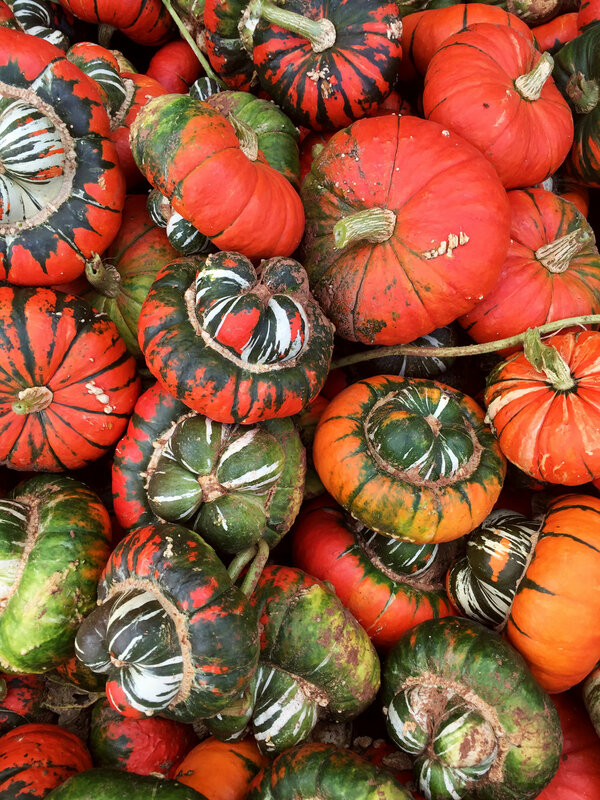 In addition to small and large jack 'o lanterns, gourds and ornamental pumpkins are available for purchase at our headquarters from September to late October. Prices and availability may vary.